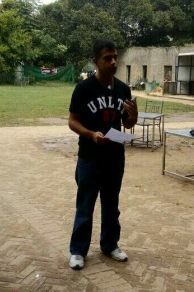 In an effort to prepare its members for various debating competitions, Forman Debating Society started holding practice sessions. Three parliamentary debating sessions were held in the previous week; with a weekly session being held on Saturdays. For the weekly session, held on Saturday, two matches were held. 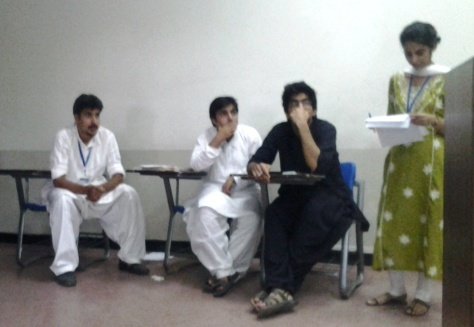 The first one was of the Urdu with the topic, ‘Yeh aiwan jamhoriyat ko Pakistan ke masail ka hal samajhta hai.’ Here, team proposition was comprised of Shayan Shaukat, Waqar Karim, and Jahanzaib Awan, while team opposition had Rizwan Saleem, Usama Tariq and Hafeez Ur Rehman Hadi. This match was overseen by Ahsan Ali, Tehreem Fatima and Muhammad Omer Imran who declared the winner to be team proposition. For the second match, the topic was ‘Ye Aiwan Pakistan main yaksaan taleemi nizam raej karey ga.’ For this team proposition comprised of Ahsan Ali, Hafeez Ur Rehman Hadi and Uzair Khan while team opposition had Zohair Shabbir (FDS Alumnus), Momin Niazi and Tehreem Fatima. This match was won by team opposition.